It’s no secret. I’ve really been struggling with mindfulness the past month. I’m constantly distracting myself with just about anything, and I find focusing on anything of value a very difficult task. I was binge watching my first Hulu show, but even when I stopped, I couldn’t focus, I couldn’t pray, I couldn’t think, I couldn’t sleep. I stay up late and wake up early, with my mind racing but not settling on anything. Even when I push myself to be disciplined to try a guided meditation, my mind flies all over the place and if I finish it’s only because my brain was moving so fast I forgot I was even doing it. But I’m at the beach now. While rich lovers may take you to see their beach resort while they try to woo you, God takes you to the beach he created to calm and win your heart. I can either intentionally embrace all that he has for me here, or I can stress about work and miss everything. Location is important to God. Situations are intentional. We can experience what we get slapped in the face with or we can intentionally experience all that life and its author have to offer. Where does God want you to intentionally go? Does he want you to spend alone time or does he want you to gather with specific people? Is it time for a mountain, the beach, a closet, or a coffee shop? This isn’t so much about getting away, but about being intentional about whatever you do, alone or together. 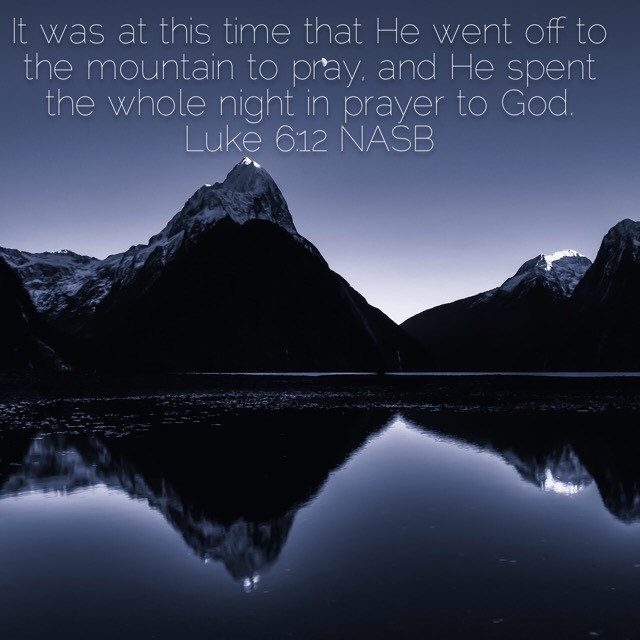 Sometimes we need the scenery of a mountain or alone time like Jesus to remember that God created you as a valuable life separate from your identity as a parent or a leader or an expert or a worker of any sort. For women, I think we so often stress the value of the work as a mother that we forget the value of the woman as a created sacred being. This isn’t at all to deemphasize the value of a mother’s job, but to point out that she is so much more. The same can be true with men and their job and ministry, or vice verse with a woman’s job or a man’s fatherhood. But like I said, this post isn’t specifically about alone time. It’s about intentional time, whether that time be alone, or with a group of likeminded people covered in ashes. It’s about doing and going where God is calling you. 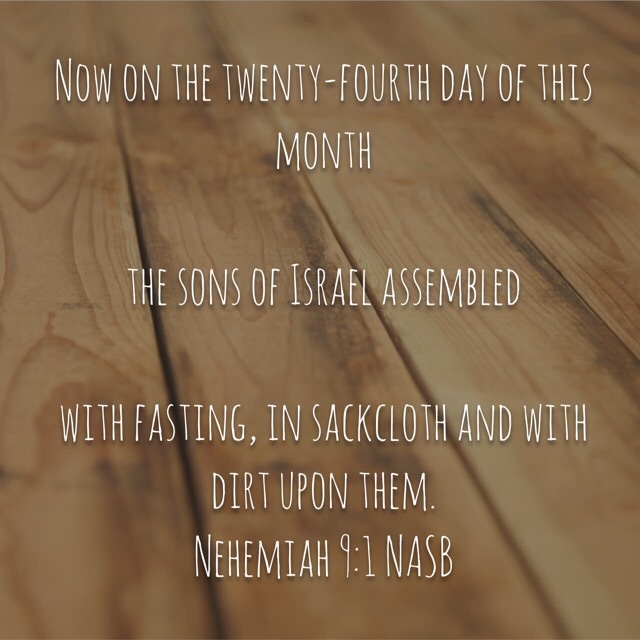 Both of the verses above, one a lit Jesus going off alone and one about the Israelites gathering together, were in my daily readings from my Sacred Ordinary Day’s journal. Both are about intentional locations. What I like best about this journal is the weekly and seasonally examens of seven areas of your life so that you can be intentional about time alone, time in play, and time with others. Location matters to God. It’s one way he created you to hear from him and learn about him. I’m struggling, but this is just a paragraph in a chapter in the story of my life. But it is a hard chapter. It’s a chapter where I’m easily distracted, prone to numb my mind with nonsense, and really struggling to enter in and move forward with worship and play, the two works God has been impressing on my heart. But I know God intentionally brought me to the beach in this season, and what better place to worship and play. Is there anything more awe inspiring than the depth and breadth beauty and waves of the ocean? And play? My toddler is so excited she only slept seven hours last night. Play is a requirement. What I want to do is embrace this specific place and this specific time intentionally and with the real hope that this will be the end of this paragraph of my story and the start of a new paragraph where I start to learn more about worship and prayer and being present, and I stop staying up all night feeling stressed about my job and distracted by nonsense.